When it comes to Ladies Brass Fashion Necklaces Manufacturers, Suppliers and Exporters, Venkatramana Jewels stands tall for its exquisite range of Brass Fashion Necklaces that are high on demand amongst women of all ages. Our Brass Fashion Necklaces are made from lustrous brass plates and wires. They are designed into intricate patterns that make them look highly elegant. 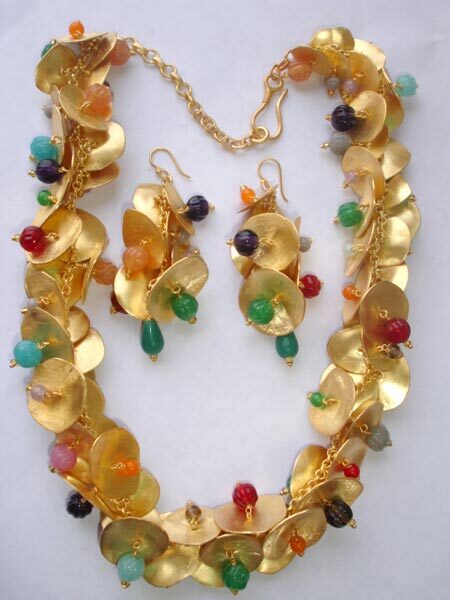 Besides, the Brass Fashion Necklaces are durable and cause no allergies to the skin. Compared to other Brass Fashion Necklaces Exporters, our company serves a much wider clientele, spread around the globe. We make available these Brass Fashion Necklaces at very affordable prices to our valued customers.